A common repair we perform are spring repairs. Either the spring is broken, or it’s old and a customer wants to replace the spring before it causes a problem. Either way, we always recommend replacing a broken or old spring with a dual spring system, if you don’t already have one. 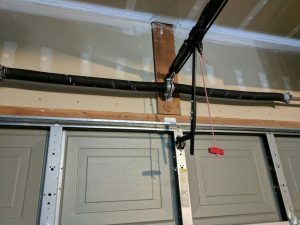 The function of your springs is to properly support the weight of your garage door. If the door is too heavy (because you springs are too small or not the right size), it can cause strain on your opener, and will shorten the life of the springs and hardware of your door. 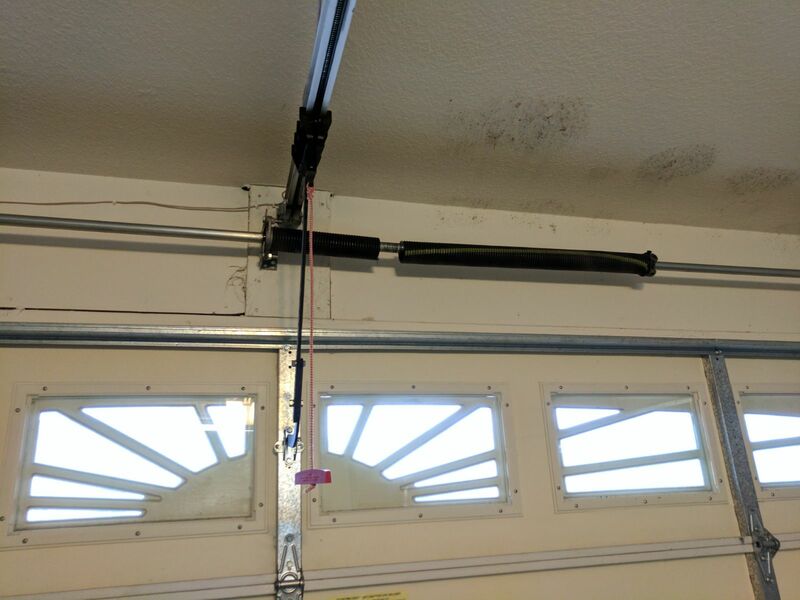 A dual spring system helps your garage door function the way it should and help your entire garage door and it’s part last longer. There is of course a higher upfront cost to dual springs, but it’s cheaper in the long run. Below are some spring repairs we’ve completed recently. Take a look at the pictures so you can learn what a healthy spring and an old or broken spring look like. 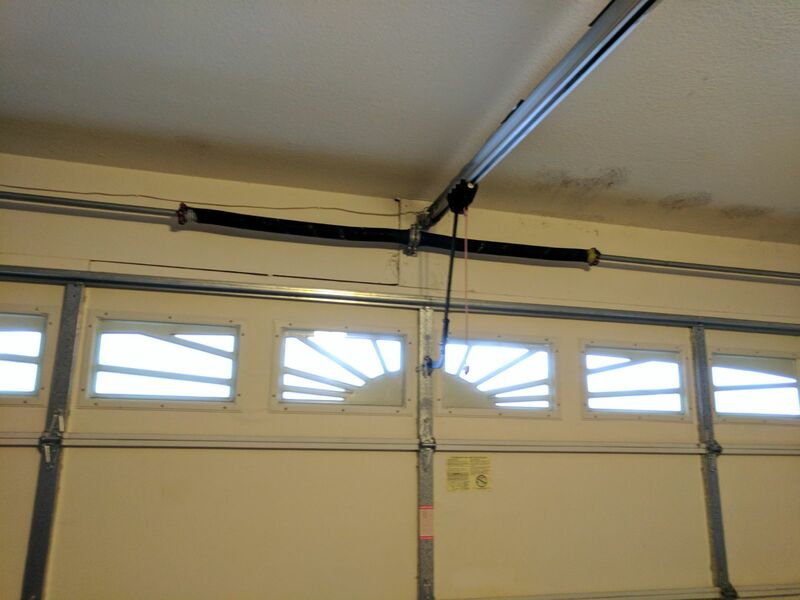 If you notice your garage door springs looking like any of the before pictures you see, call a garage door professional ASAP! This spring is broken. The fix? A new dual spring system. We also re-balanced this customers door during our routine inspection when we made this service call! 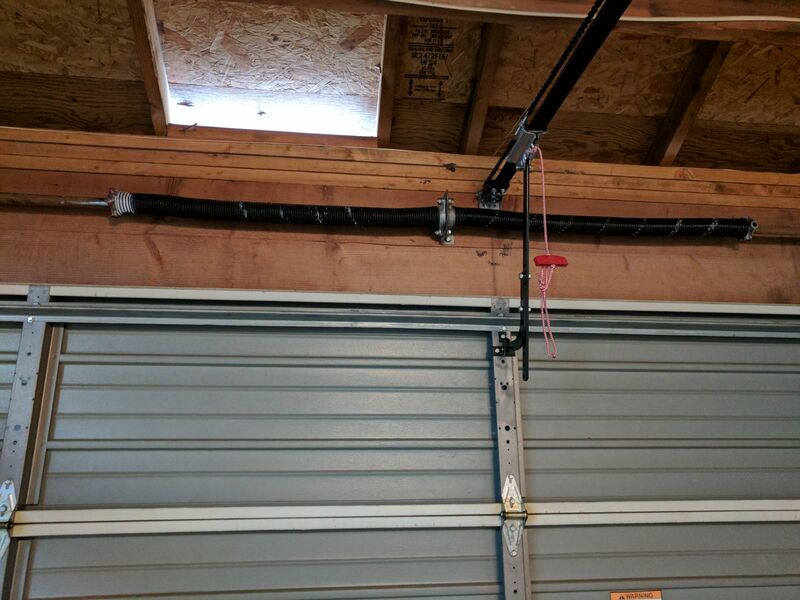 After installing a new dual spring system for this customer, we also installed braces to reinforce the garage door. This also helps to prevent cracks. A lot of homes that were built by those big building companies took the cheap route when completing garage doors. Generally they install 1 heavy duty torsion spring, which is a money saver. 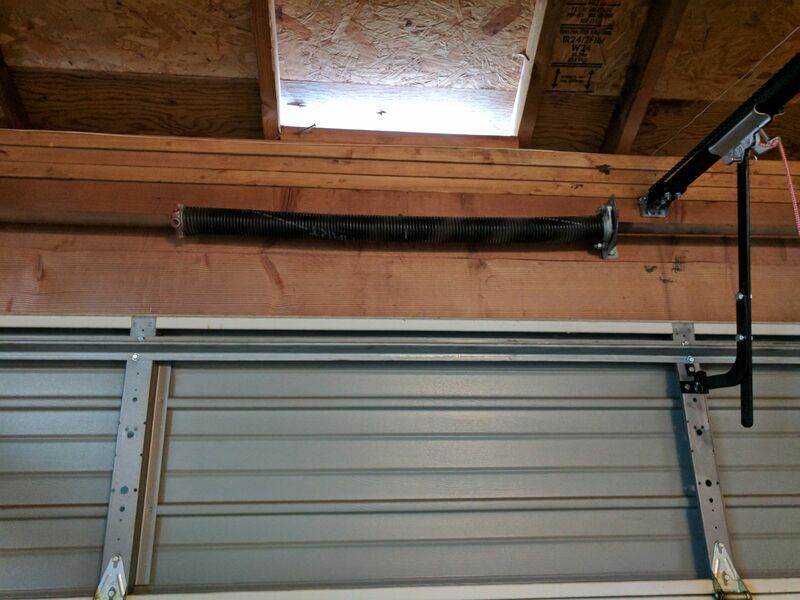 But it’s not what is best for the long term health of the garage door. It saves THEM money, but costs you down the road. A 2 car garage door especially will benefit greatly for 2 springs. It balances the door better than 1 spring, and helps the opener perform optimally. If you would like GR8 Garage Door Repair to perform an annual maintenance on your garage door, call us today! We service the following areas: Anaheim, Whittier, Long Beach, Westminster, Marina Del Ray, Orange County, Ranco Cucamonga, and Sherman Oaks. Our inspection includes a spring inspection, and we can make recommendations about upgrading to a dual spring system or replacing your current springs if they are in need of repair. Call us today!